The Friends School has a long and honored history in Palestine and it is interesting to trace the origins of our two schools of which we are justly proud. The history of the Friends School is one closely tied with the history of Palestine. Over the last century, the School has experienced Turkish, British, Jordanian, and Israeli occupation, world wars, and closures. The Friends School, in its checkered political history, has served not only as schools, but also as a center for refugees, hospital, and a center for community lectures, concerts and other cultural activities. Friends work began in 1869 with a number of small schools for girls in the villages surrounding Ramallah. In October 1889, Friends Girls School opened as “The Girls Training Home of Ramallah”. The fifteen students who enrolled the first year came from Lydd, Jaffa, Aboud, Jerusalem, Beirut and Ramallah, and six years later the first class graduated. Miss Katie Gabriel from Lebanon was the first principal, serving eighteen years. In 1897, the first addition was made to the original two-story house—a dining room with adjoining room and hallway, and a dormitory above, which is now Swift Hall. Gradually, classes were added until the Friends Girls School became a secondary, as well as, an elementary school. In 1910, the third floor dormitory was added. A Boys Training Home was founded in 1901, at the urging of community members, for the purpose of providing Palestinian boys a rigorous academic program guided by the principles of the Religious Society of Friends (Quakers). The school was first housed in a building near the Friends Girls School in Ramallah and as the school grew from its initial enrolment of 15 students, land was bought in El-Bireh in 1905 and the first stone of the main building laid in 1913. The first experiments in mixed classes of boys and girls began in 1902, the two training homes for Boys and Girls had classes together for one and half hours a day and it was hailed as a great success. The Friends Meeting House in the center of Ramallah was built in 1910. In 1914 the Friends Boys School Main Building was completed but it only came into use as a school in 1918. The Girls Training Home and the Boys School, like all other schools in Palestine, were closed throughout the war. During those years Turkish and then British troops occupied the buildings. British troops used the Boys School as a hospital in 1917. Both schools reopened in 1919. At the newly named Friends Girls School, day students, as well as, boarders were accepted. Electric light was first used at the schools in 1923. Construction at the Girls School continued and in 1925 the remainder of the third floor was constructed. At that time the former dormitory on the second floor was converted into an assembly room and named Swift Hall in honor of Sara J. Swift of New England. The home economics cottage was built in 1929 and Whittier Hall in honor of Alice Whittier Jones in 1934. Boys first took the Palestinian Matriculation examination in Jerusalem in 1926. The Lowell Jones Library was given by Rufus Jones in 1928. Tennis courts were added in 1927. Grant Hall was built in 1933. The partition of Palestine in 1948 and the subsequent expulsion of many Palestinians again changed the character of the School. Friends Meeting House and the School grounds became the temporary home for refugees. School numbers swelled to accommodate refugees from the coastal cities. The White Gifts giving was instituted to give foodstuffs and money to needy families. There was a consciousendeavor to increase the Schools’ scholarship support. As World War Two came to an end, once again the schools continued to struggle to be a positive influence in a troubled world. The School had a relatively peaceful life during the Jordanian period from 1948-1967. The fifth secondary class of the Friends Girls School was added in 1956, and plans were ready for opening the sixth secondary in 1963. In 1962, four classrooms were added to Whittier Hall. During Jordanian rule, the Friends School earned a reputation throughout the Middle East as a superlative educational institution. Attracted by the educational practices, expectations of student discipline, and commitment from faculty and staff, students all across the Middle East came to the Ramallah Friends School, a legendary boarding school at its time, to complete their studies. This period of School history also engendered many successful alumni who have attained prosperous careers in various professions throughout the world. Beginning in the later 50s, enrollment figures for the FBS rose dramatically, reaching a peak in 1966 at 320 students. Following Israeli occupation, the boarding sections in both schools were closed, as students from neighboring countries were no longer able to come. The enrollment figure for the class of 67/68 plummeted to 180, compared to the previous year of 320. Gradually, enrollment figures began to rise steady. In less than a decade, the student population would reach 350, and would continue to rise steadily thereafter. Since the very earliest years of the School’s foundation, both boys and girls from the two separate campuses had shared some classes and this strategy had proved successful. Both boys and girls were always taught together from Kindergarten to Grade 2 and merged again under the science and arts Tawjihi tracks in the 11th and 12th grades. The Upper Kindergarten had begun very early in the Friends Girls School history and was permanently expanded to the Lower Kindergarten in 1983. There was a growing belief that co-education was educationally sound and could work well in Palestine. As the first Intifada, or Palestinian uprising, grew in strength, enrollment plummeted. The financial situation also put pressure on the Board to look closely at how to use the resources of the two schools more efficiently. In 1990, the campus of the Girls School became a co-educational Elementary School and Kindergarten and the campus of the Boys School became a co-educational High School. Following the Oslo agreements, the uneasy peace brought greater stability to the School with the emergence for the first time of a government in waiting that had a real interest in Palestinian education. The second Intifada began in September 2000. Since the beginning of the second uprising, the Friends School has been in the center of towns exposed to a new level of violence with sequences of nightly shelling from Israeli tanks and light artillery and attacks by helicopter gunners. The psychological well being of our parents, students and staff was shaken and our enrollment figures fell to 370 pupils in the FBS and 540 in the FGS in 2000/2001 as families left for America and elsewhere to escape the violence. However, following each tragedy the School has recovered, maintaining its reputation as a leading academic center in the Palestinian community. Following the Israeli pullout from parts of Ramallah and El-Bireh in 2003, School services have remained uninterrupted. The School cherishes the prospect of greater stability in the future and continued growth within the community. Despite prolonged political unrest, Israeli military occupation and economic hardships today, the Ramallah Friends School continues to demonstrate the resilience and patience of the Palestinian community keeping alive the hope and vision of a better future. The school expansion, the adoption of new programs, and the historic development of the facilities are a testament of the community’s endurance and insistence on the importance of a value-led educational program. Friends United Meeting, the school caretakers and owners, decided to create a new senior position to oversee the management of the school. In 2000 the first RFS School Director was appointed. Enrolment grew from less than 1000 students in 2004 to over 1400 girls and boys in 2016. Graduating classes averaged 95 students with 95% attending top-rated colleges and universities locally and abroad. For the first time in the school history, Ivy League colleges took interest in RFS students and admit many on an annual basis. In 2006, the school celebrated its centennial graduation. Alumni, each representing a decade, participated in a ‘passing of the torch’ ceremony. The flame was passed from our alumni on the stage to the Class of 2006, beginning the Ramallah Friends School second century of graduates. Alumni worldwide have demonstrated their spirit of giving though their generous donations. The Main Administration building in the Upper School was named after Mr. Farouk Shami, RFS Alumnus, who pledged $2 million in support of his school. 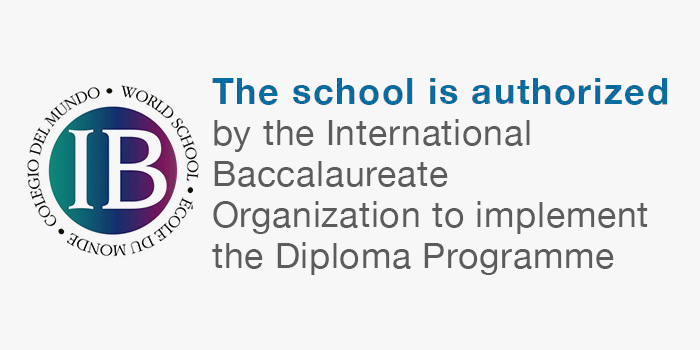 In 1999, the School became accredited by the International Baccalaureate Organization (IBO), offering students in Palestine for the first time an IB Diploma Program. Today, after receiving the IB authorization of the Middle Years Program (MYP) in 2012 (for grades 6 through 10), and the Primary Years Program (PYP) in 2018 (for grades LKG through 5th), the Ramallah Friends School is a recognized IB World School. The construction of a new building made it possible to move grade 6 from the Lower School in 2016 and create a new academic division for 6th – 8th graders. Inaugurated in November 2017, the Middle School was hence created with a separate management structure from the high school. During recent years, both campuses saw a historic transformation in the upgrading of their facilities. New buildings at the Upper School were erected to accommodate more students thanks to the support from USAID/ASHA; namely, a new Science Building and Multipurpose Hall, as well as the new Middle School Building which first opened its doors in 2010 (Middle School building was constructed under two phases), and the new extension opened its doors in 2016. The building, designed by an international architecture firm (FNI) specializing in schools, distinguishes itself as a non-traditional learning and “green” space that encourages innovation, multidisciplinary programming and collaboration in its design of space (The Da Vinci Studio – a Makers’ space – brings science and art creatively together for students to explore). During this period, the Upper School also saw the renovation of Khalil Totah auditorium, the creation of a parking lot and landscaping of major pathways, stairways and green areas around the school, including an organic vegetable garden – all made possible with the support of USAID/ASHA. The Kaykab Gardens – a botanical green area opened to the public on the Swift House property, was restored and planted with indigenous plants from the Levant. Both campuses saw the building and expansion of multiple sport facilities such as artificial turf football (soccer) fields, running track, and outdoor basketball, tennis, and volleyball courts. In 2011, funds made available from the UNDP, OFID, AFESD and RFS alumni enabled the construction and completion of a new Kindergarten building and a new multipurpose assembly hall (The Khadoun Tabari Hall) at the Lower School in order to accommodate the progressing needs of our students. New artificial turf fields and other landscaping activities were executed during the past decade. Progress and resilience continues to distinguish RFS as an “oasis of hope” for the Palestinian people. In 2019 Ramallah Friends School will celebrate its 150th anniversary. In 1996, the position of School Director was created to unilaterally manage both the Upper and Lower Schools. The Director is appointed by the Friends United Meeting (FUM) of Richmond, Indiana. The first such Director was Retha McCutchen who served in this capacity from 1996-1997. * Colin South, a Quaker and member of the British Yearly Meeting, served the School in this capacity from 2001-2004. * Joyce Ajlouny, a Palestinian Quaker and member of the Ramallah Friends Meeting, assumed the responsibility of School Director in 2004-2017. She is also a graduate from the Class of 1983. * In 2017, the title of the "School Director" position was changed by the FUM to "Head of School" with the appointment of Adrian Moody as RFS Head of School in August 2017. Adrian brings with him over 30 years of academic experience to the RFS. He is the former Head of several international schools and has extensive training in IB education.